NAR Immediate Past President Steve Brown joins American Nobel Laureate Dr. Robert Shiller at an economic and policy forum today to appraise the state of the U.S. housing market. WASHINGTON – April 21, 2015 – (RealEstateRama) — The nation’s leading housing economists spoke today at an economic and policy forum to appraise the state of the U.S. housing market. The event, held by the National Association of Realtors®, National Association of Home Builders, and McGraw Hill Financial Global Institute, drew more than 80 attendees representing industry analysts, congressional staff, and members of the media. During two panel discussions and a featured keynote speech by American Nobel Laureate Dr. Robert Shiller, presenters offered a variety of historical and forward-looking perspectives on the factors driving the real estate market. Dr. Shiller shared insights into the current housing market trends, including the residential and condo markets, and offered his outlook for the future of homeownership, which is currently well below its historical norm. 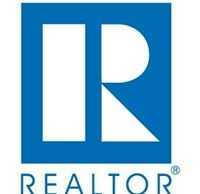 “Although the homeownership rate is down, renters still have a desire to own a home. But, there needs to be something done to improve mobility so people can be closer to where they work,” Shiller said, noting that 55 percent of renters believe that owning a home is a part of the American Dream. The first panel discussion, moderated by Wall Street Journal economics reporter Nick Timiraos, examined local market conditions, whether current inventory levels are meeting consumer demand and what it all means for home prices. “The combination of low interest rates and strong consumer confidence, based on job growth, cheap oil and low inflation, should further increase home prices,” said S&P Dow Jones Indices Managing Director Dr. David Blitzer. “But, despite price gains, the housing market faces some difficulties. Home prices are rising roughly twice as fast as wages, putting pressure on potential homebuyers and heightening the risk that any uptick in interest rates could be a setback. Home building and new home sales are soft and residential construction is still below its pre-crisis peak; before 2008, any time that housing starts were as low as the current rate of roughly one million, the economy was in a recession,” said Blitzer. Dr. Anthony Sanders, a distinguished professor of finance at George Mason University, echoed Blitzer’s concern that stagnant wage growth is one of the underlying problems impacting the housing market. “Demand for buying is not reaching its potential because households aren’t seeing meaningful increases in their incomes,” he said. NAR Chief Economist Dr. Lawrence Yun agreed that low housing inventory is driving up prices, but remained optimistic about the future of the market. “I do expect first-time buyers to slightly pick up this year as the economy and job market continues to stabilize,” he said. Yun added that a combination of new home construction and a responsible increase in credit access would create more opportunities for first-time and move-up buyers to enter the market. On the issue of increasing home prices, Dr. David Crowe, NAHB chief economist, added that new home prices are on the rise because builders are targeting move-up buyers who generally buy larger homes. The second panel discussion, moderated by Jon Prior, politics reporter for Politico, examined whether tight credit conditions are delaying a full market recovery. The panelists all agreed that restrictive credit is an obstacle to homeownership. Gordon also commented on a missed opportunity by the director of the Federal Housing Finance Agency, who last week announced that FHFA would not be reducing the guarantee fees charged by the government-sponsored enterprises. She remarked that a decrease would stimulate market entry for people with slow income growth. Joe Nery, 2015 president-elect of the National Association of Hispanic Real Estate Professionals answered an important question from Antoine Thompson, executive director of the National Association of Real Estate Brokers regarding the reasons for lower homeownership rates among African Americans and communities of color. Nery said that credit policies are the biggest barriers to homeownership for communities of color. “When the average credit score is 750 it’s a significant hurdle to get over for borrowers with thinner histories. We hope that the agencies will consider alternative scoring that looks at additional factors when calculating scores. Fortunately, the secretary of Housing and Urban Development told us recently that the Federal Housing Administration is considering new credit models that look at the full picture of a borrower,” said Nery.